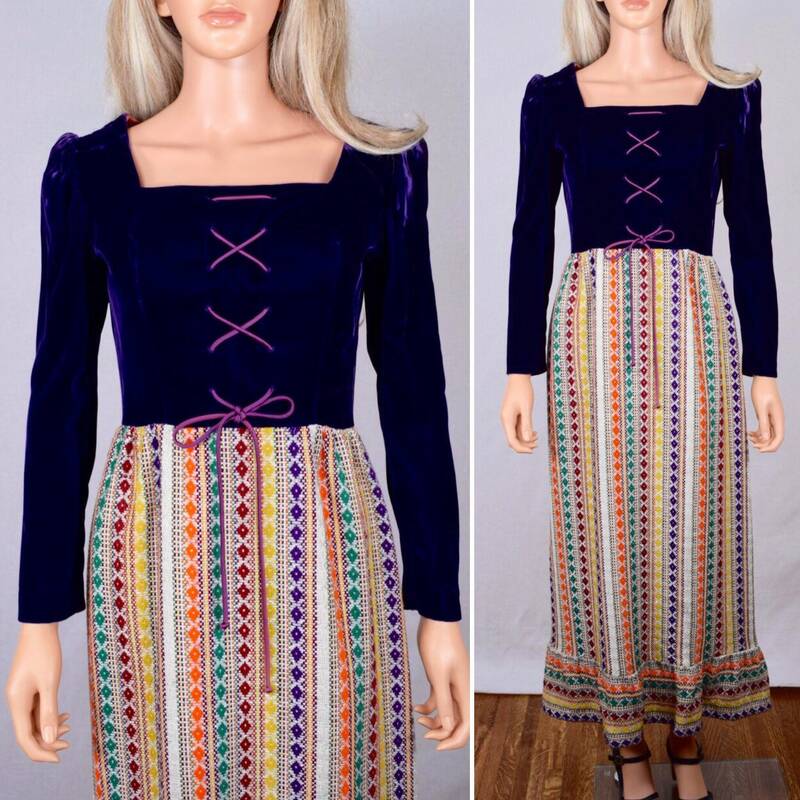 Gorgeous hippie boho maxi dress by the high end designer, Pat Richards. 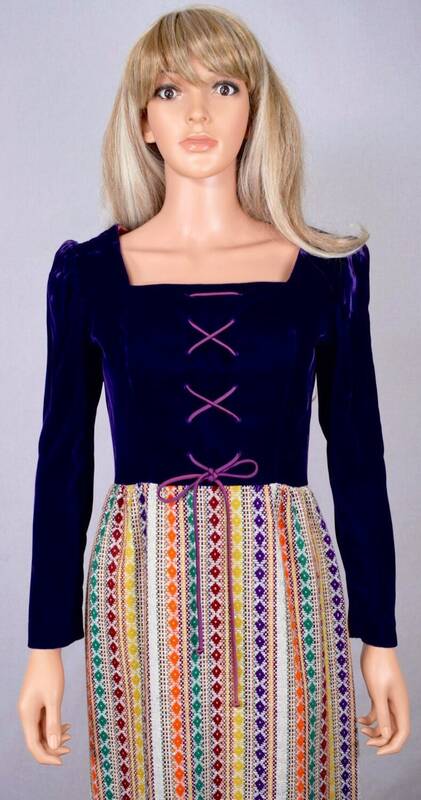 The upper bodice is a purple velvet fabric that laces up the front. Full in the hips with a ruffle at the bottom hem. 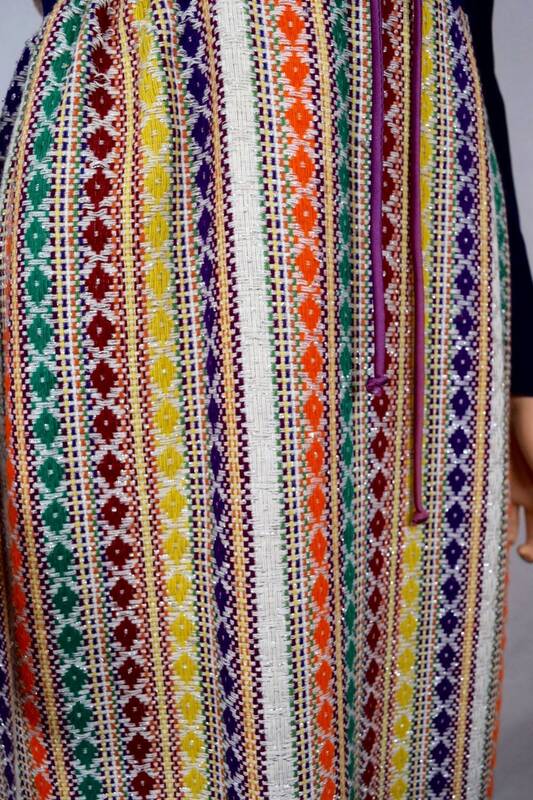 The skirt portion is a woven metallic tapestry fabric, very cool and why I bought this dress! Fabric: Upper part is rayon and skirt is acrylic.